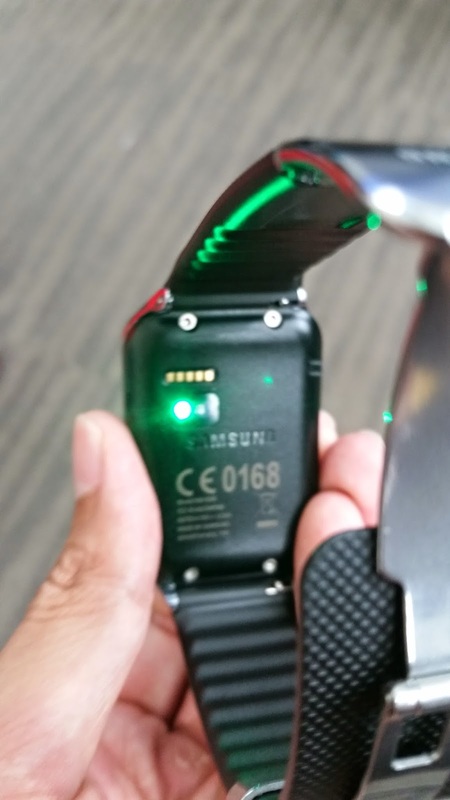 As there are just so many features to the 2 gadgets, I’ll be doing a 2 part blog post for these products. Are you ready for part 1? Let’s go…. 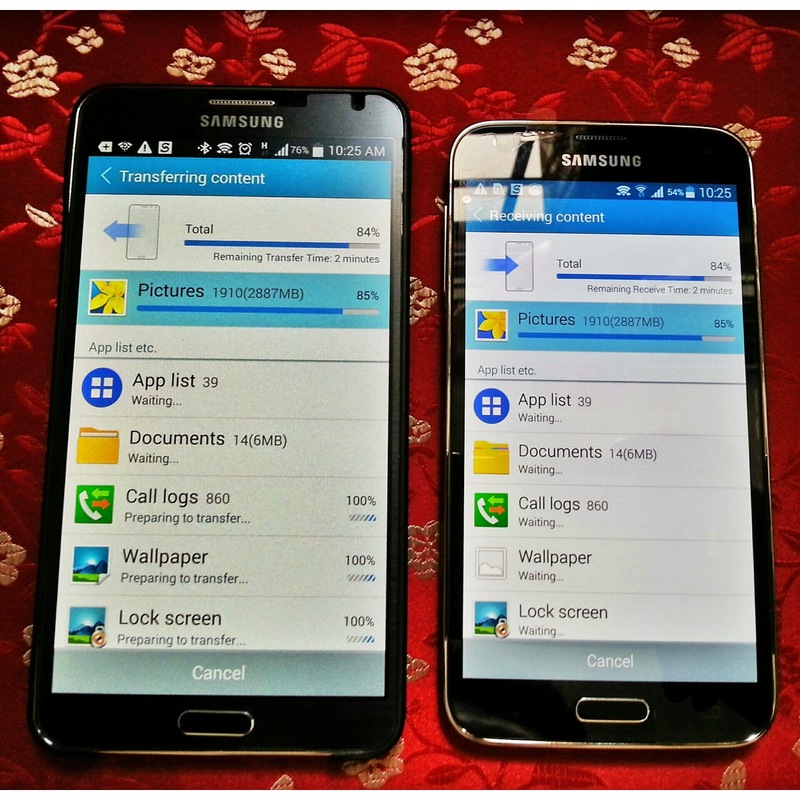 As I’m currently using the Samsung GALAXY Note 3 with LTE, making the change to the GALAXY S5 LTE is a breeze for me. So when I was told to attend product training at the Samsung office, I didn’t think that there will be much for me to learn. But boy was I wrong!! I’m sure everyone is aware of some brands that make very minimal technological advancements when they launch their new models, Samsung is definitely not one of them! Every single launch seemed to have a very clear aim and objective. 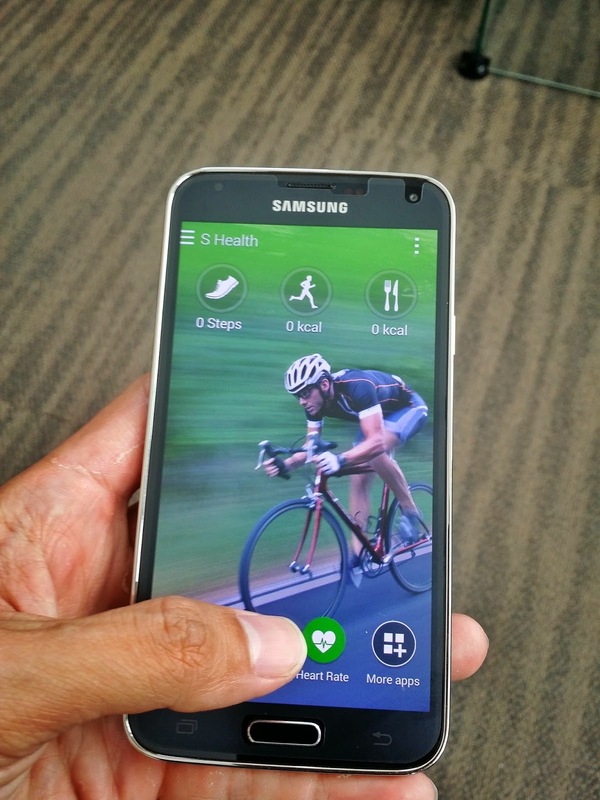 And as for the GALAXY S5 LTE, the objective is to build a smart, sleek & functional phone that is dedicated to Health & Fitness! Even though I have been using my GALAXY Note 3 with LTE for a few months, having to switch to a new phone can be quite a pain. But the staff at Samsung shared that there is this app developed that helps users to switch from one phone to another with ease. What I mean is that all your data from your original phone will be transferred over to the new one. And the best part is that you do not need to do any backup at all. The full transfer took me only 10 minutes! This app also supports the switch from Apple or Blackberry devices. 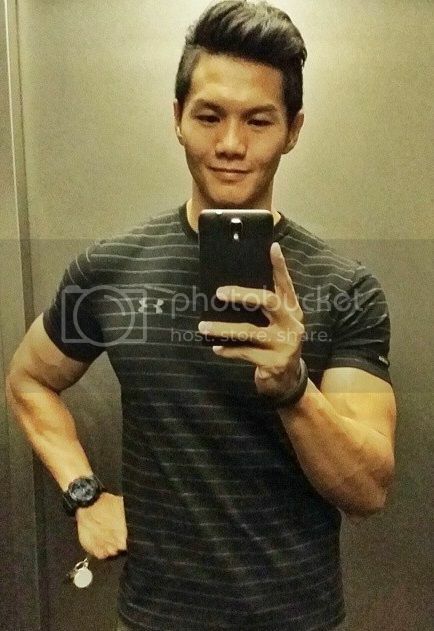 Now, before I go into the health functions, I have to start off talking about the wonderful built-in camera. This camera totally blew me away!! Apart from how clear the photos are, I really love the Selective Focus function. This function allows you to take photos with a good amount of depth of field. What is even more amazing is while you’re taking the photo, the camera intelligently captures more than what you require, so that you can further choose the correct focus to tell your story. 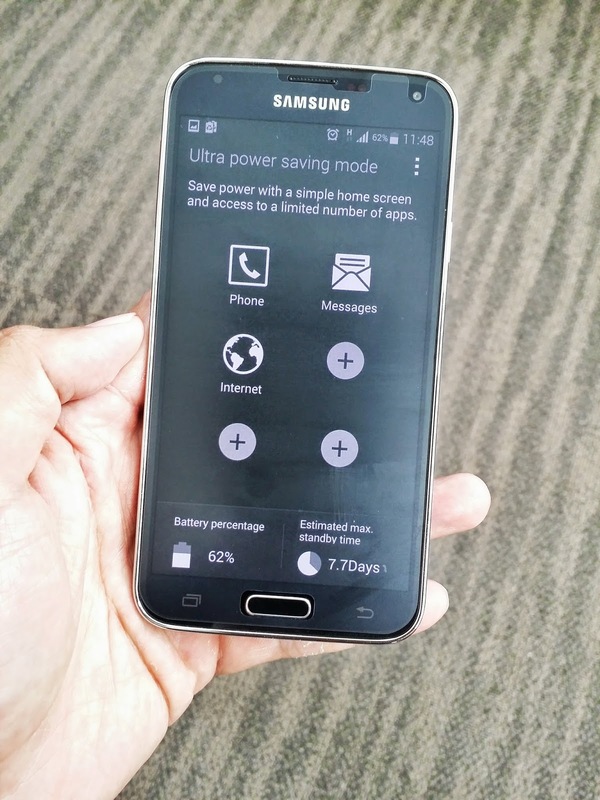 The other function of the phone that I found really useful is the Ultra-Power Saving mode function. I believe everyone has encountered a time when you’re down to your last 10% battery life and there’s no charging unit within reach. What’s worse is that you’re still very much in need of your phone. When I’m down to 10% of my battery life, I’m usually in panic mode!! I’ll turn off my wifi, Bluetooth functions and try all means to preserve the little that I’m left with. But with the new UltraPower Saving mode function, this is what the phone will do for you. 2) Your phone will limit you to only 6 functions. Yes, you can still choose Facebook & Instagram! 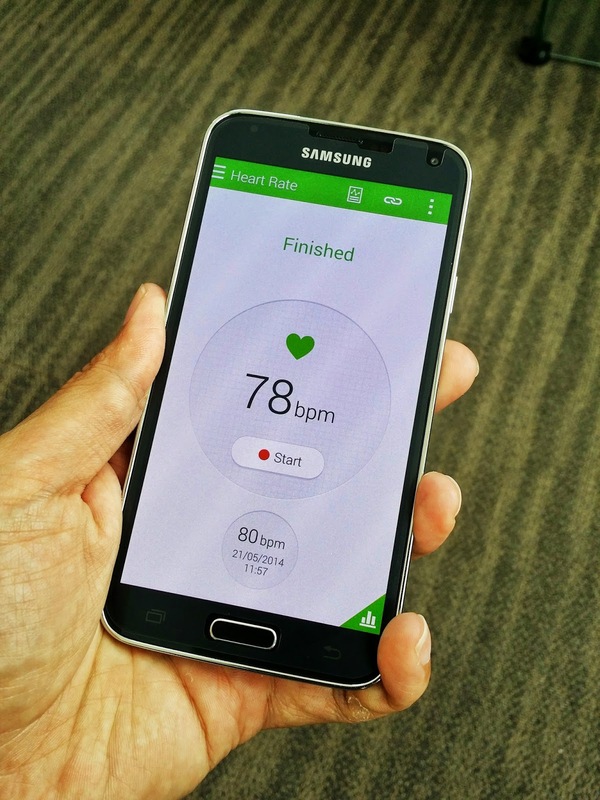 Now on the health function of the new GALAXY S5 LTE, I’m really impressed that a phone can have a built-in heart rate sensor! 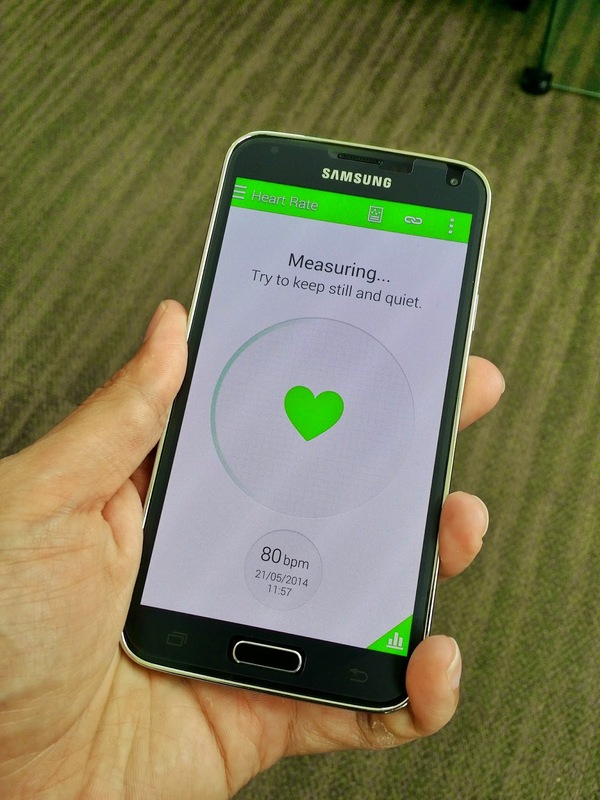 Unlike the Phyode W/Me, that takes quite a number of minutes to measure your heart rate, the Samsung GALAXY S5 LTE takes just around 10 seconds to do the job! Recognising the demands of a dynamic lifestyle, the GALAXY S5 LTE was engineered to take on life without compromising the experience. This phone has qualified protection from water & dust (IP67)!! I am really impressed with the phone being able to be submerged into water for up to 30 minutes and still survive! I didn't do this to my phone of course! Found a video showing how well the phone is surviving underwater. Click here to watch! There are many other functions that I really love about the GALAXY S5 LTE but I’ll stop here for today and bring your attention to the Samsung Gear 2. 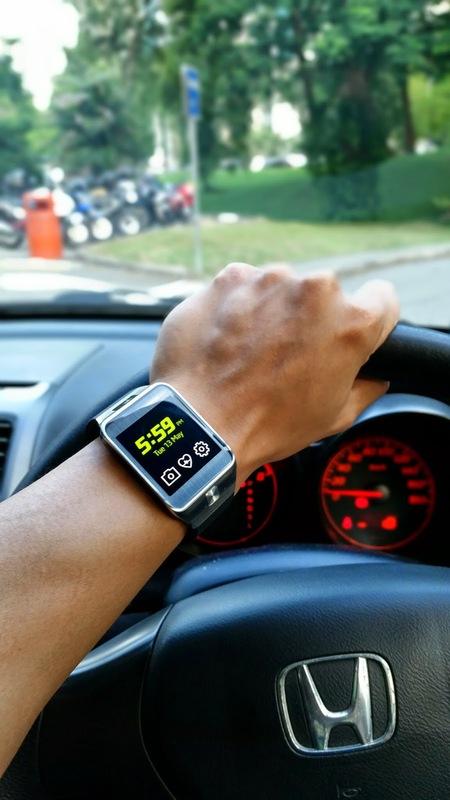 Additional Features: Make & Receive Calls, Standalone music player, Alarm, Sleep tracker, etc. 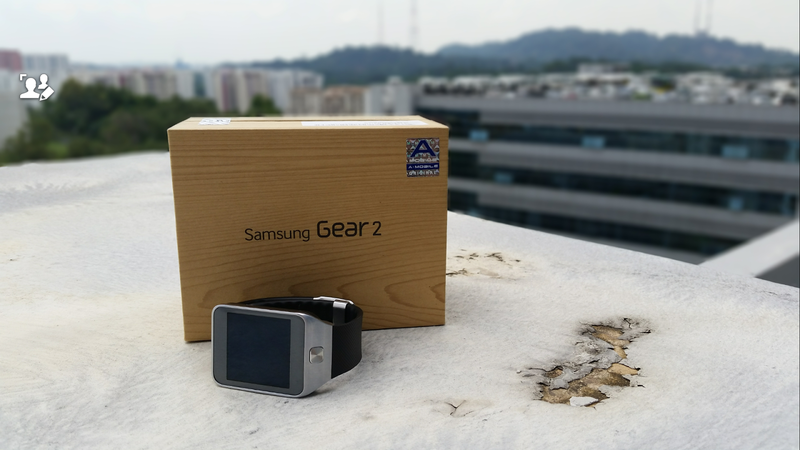 For more information about Samsung Gear2 Specs, click here. 4) track my sleep, and that will be the perfect gadget! Well guess what guys, the Samsung Gear 2 can do all of the following and more! 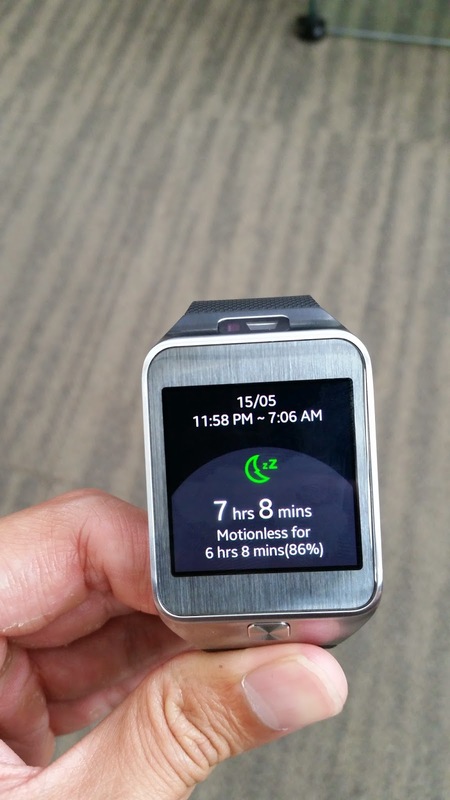 Before the Samsung Gear 2, I’ve never done any sleep tracking before. So this was the first function that I had to try out. Here’s my result on my 1st sleep tracking night. I was asleep for 7hrs 8mins & was motionless for 86% of the time! I was pretty glad to know that I do not move around that much during my sleep and I’m always very recharged when I wake up every morning. 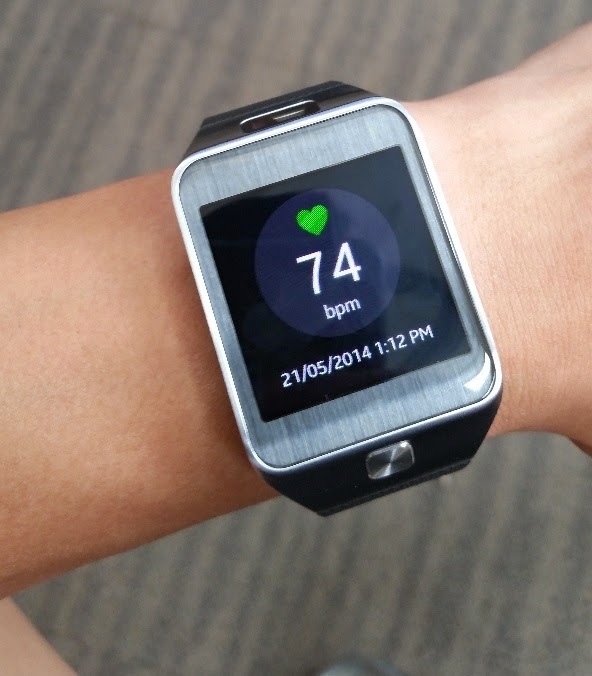 The Samsung Gear 2 has a built in Hear Rate Sensor that is really important for a fitness enthusiast like me. I wear this watch during my gym trainings & cardio sessions so that I can monitor my heart rate and ensure it is in the optimal training zone! 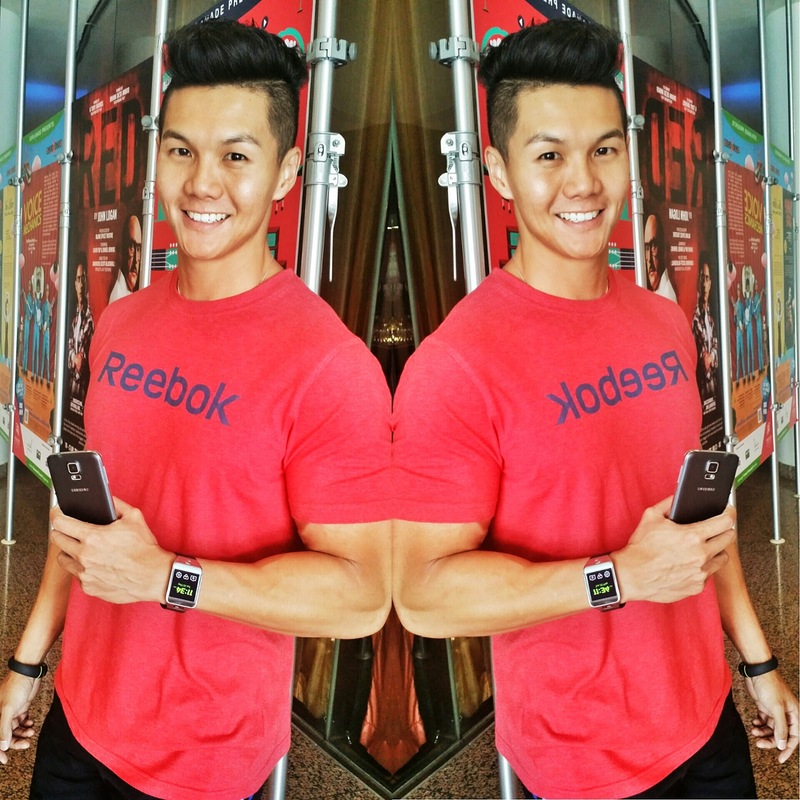 When I do not have my phone with me, I will periodically check my clients’ heart rates in between sets, to make sure that every training session with them is effective & enriching. 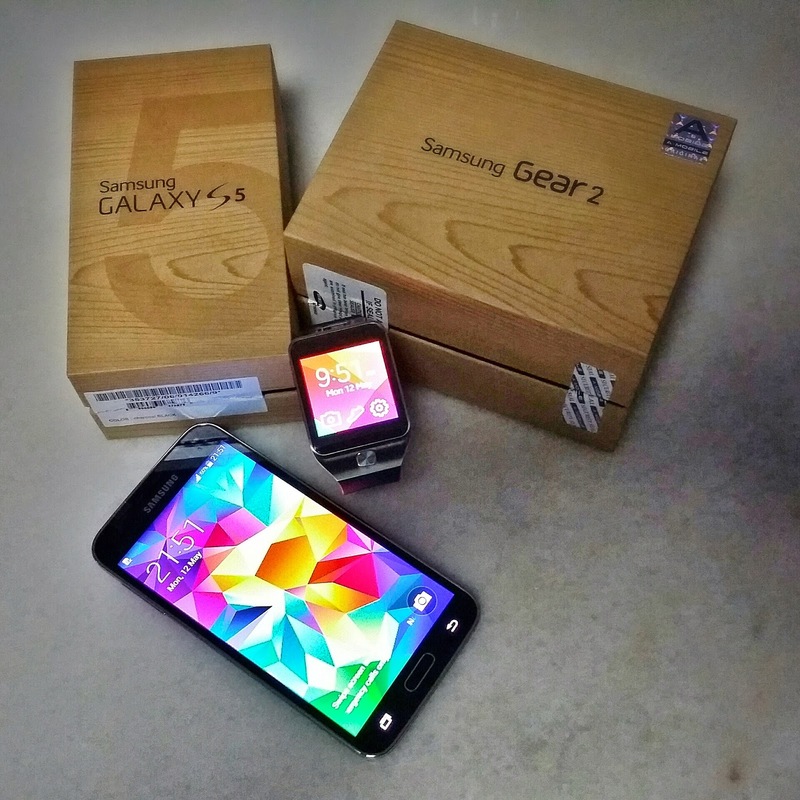 So that’s all for part 1 of my Samsung GALAXY S5 LTE& Gear 2 review. Please stay tuned for part 2 and until then, stay fit & healthy! Nice watch. It's lovely. I want to buy one of those. In fact, my phone is broken so I need a new one. For the time being I am using whatsapp pc but I need a new phone now.